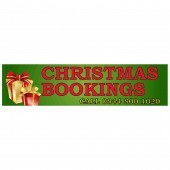 Christmas is by far the biggest event of the year with excellent opportunities for promotions, events and specials which bring in extra business and new customers. 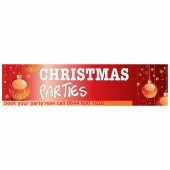 Make the right impression with a Christmas Banner from Discount Banners. 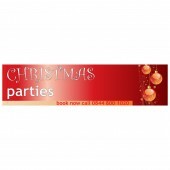 Whether you are a shop, restaurant or throwing a Christmas event we have high quality, eye-catching Christmas Banners for you. 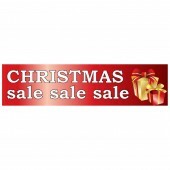 All of our Christmas Banners are printed on high quality, weather resistant PVC using eco-friendly, UV stable ink which means you have a fantastic product that lasts in all weathers, suitable for indoor and outdoor use. 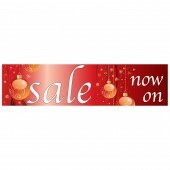 Christmas Banners are available in 8’x2’ or 10’x3’ and should be received 2-5 days after your order has been placed.